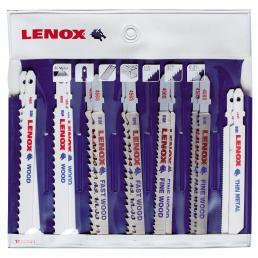 LENOX jigsaw blades are suitable for different purposes depending on the material. 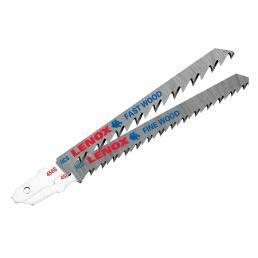 Discover in this category the most suitable blades for cutting wood. 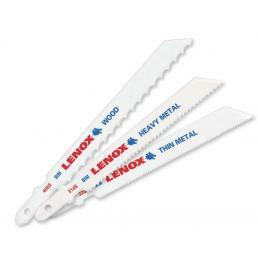 Among the jigsaw blades for cutting wood are the Bi-Metal saw blades and the Carbon T-Shank Jig Saw Blades. The latter are ideal for wood working, with excellent performance in cutting wood, including hardwoods. They guarantee higher cutting precision and a uniform finish. The blades are super sharpened to cut quickly without deflection. Microfinished sharpening enables straight cuts and a uniform finish. In addition, the blades are substantially unbreakable: they flex and resist breakage, resulting in a longer service life. Discover the entire Mister Worker™ catalogue to find the Reciprocating Saw Blades that best suit your needs: from metal cutting to other materials cutting. The large assortment available in the catalogue is shipped within 48 hours and is covered by the official LENOX warranty. In addition, the Mister Worker™ customer service and its experts are available to provide you with information and more details, and to help you in the selection process.